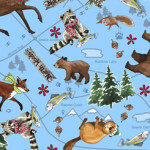 Meet new friends and cozy up with ©Desiree Designs new collection of fun fabrics. 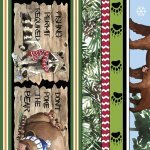 Lots of friendly animals and fun sayings are brought together with festive color and coordinates. 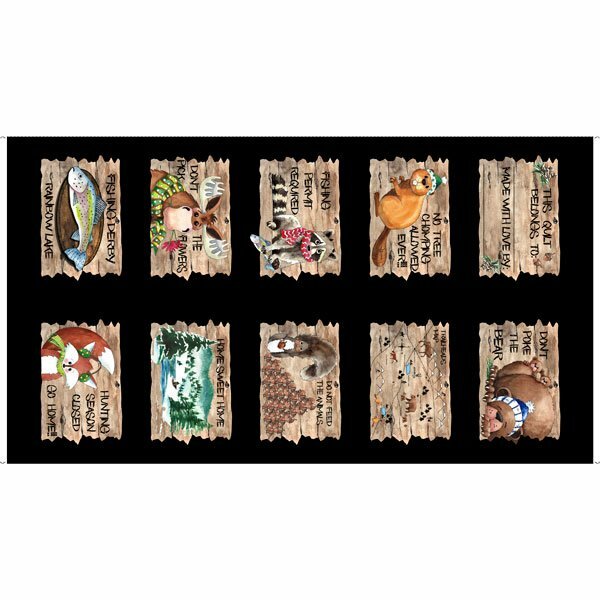 The main panel and wooden picture patches work so well with the border stripe for big impact in your next project! 100% cotton panel, 24" x 42-44"